As a homeowner, you know there is a wide range of things to keep in mind to ensure your home remains safe and livable for years to come. Your foundation is one of the most important, but often overlooked aspects of your property. Whether your home has been built recently or is an older construction, it is vital your foundation remains in good condition, because it is the material that anchors everything. When your foundation begins to wear down, it can cause a multitude of other problems, potentially costing you thousands of dollars and months of hassle and repair. At Ewing & Ray Foundation Services, we have years of experience helping our customers in Mississippi, Alabama, Louisiana, and Tennessee with foundation repair, house cracking, floor cracking, wall damage, and more. Our expert team has the tools and resources to ensure your foundation is structurally sound. Call today for more information. If you’re beginning to notice cracks in the basement of your home or on load-bearing walls, it is best to call Ewing & Ray Foundation services right away. House cracks can take many forms and may be a sign that the foundation of your home is under too much stress and in need of fortification. Our experienced team can reliably and efficiently add to your existing foundation with concrete piers, steel push piers, shallow footings, and more. The first step in any job is a thorough inspection of your property. 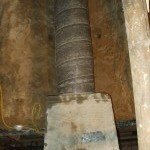 A member of our team will come to your home to inspect your foundation and assess what needs to be done. From there, we can put together a plan for how to retrofit your existing foundation and keep you and your family safe. At Ewing & Ray Foundation Services, we place a premium on detail-oriented work at every stage of the process. 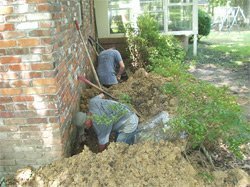 Our entire staff is well trained with regard to foundation repair, and we insist all contractors be well versed and experienced with this type of work prior to joining our team. We source the best raw materials and work with high-quality vendors for every part and component we use for our foundation repair. A professional repair will last the longest when you use the best parts. We never cut corners, because we know how important it is to have a stable foundation for your home that is both strong and reliable. Working with companies like CHANCE, who provide the anchors and underpinning systems, is a testament to our commitment to quality and excellence through each step of the foundation repair process. We know house repair of any kind can be expensive and time consuming. 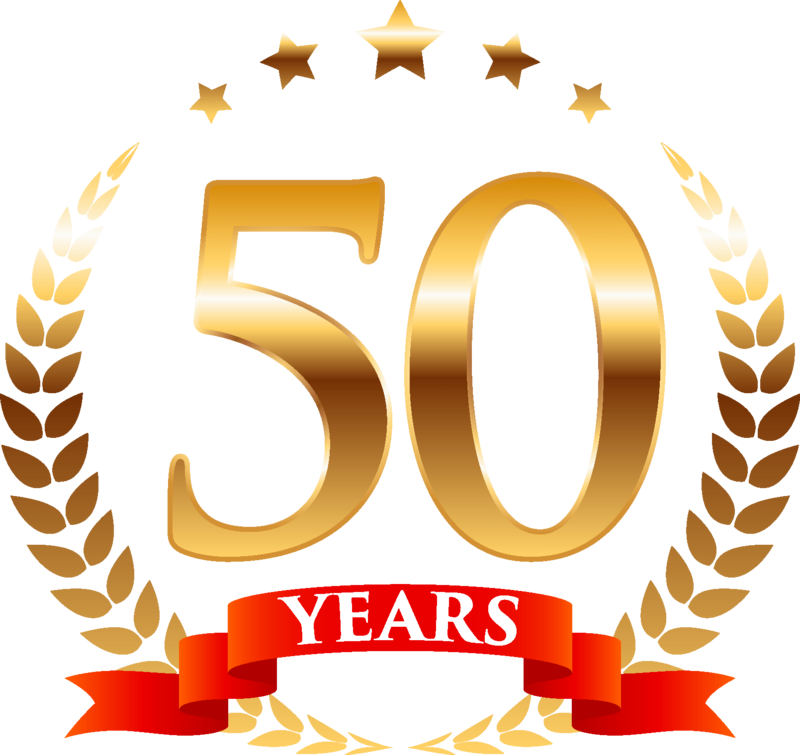 At Ewing & Ray Foundation Services, we are proud to serve the Southern states with high-quality foundation repair work at affordable rates. It is important to make sure your foundation is in good health, which is why our team has a wide range of options for repairing your foundation without breaking the bank. We work closely with all of our clients, involving them in the process from start to finish. Underpinning is the process of modifying an existing foundation by extending it to or into subsurface strata that is deeper and more stable than the near surface soil that supports the existing foundation. Underpinning extends the foundation support to depths that provide greater bearing capacity and/or are less affected by climate and soil conditions. 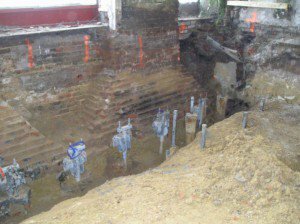 If underpinning is properly designed and installed it will provide the basis for lifting the structure to a more acceptable elevation and will provide vertical support to prevent the underpinned areas from settling. WHY DO YOU PRESSURE GROUT PUMP? After the foundation is lifted, we complete the job by pressure grout pumping the area under the slab. Grout pumping re-establishes the fill that has subsided and prevents water from collecting under the foundation. This also prevents point loading of the slab which helps prevent the potential for future foundation problems. Ewing & Ray Foundation Services, Inc. has the capability to install drilled concrete piles in confined spaces with less than 8 inches of head room and 36 inch door openings. These piles can vary from 12’ to 16’ depending on your needs. We drill our piles into the unweathered “Blue” clay that can normally be found at a depth of 32 feet in the Jackson area. The advantage of a concrete drilled pile over any other system is the high lateral strength that this pile has over other systems. These drilled piles are typically only used when there is a slide plane in the soil or there is an increased potential for lateral loads on a building. Once you’re CHANCE™ certified installer has received the plan of repair from a qualified design group or individual, he can proceed with the repair. Remember, one of the best investments you can make is to get a soil boring on your property. This will enable the designer to determine what type of anchor and to what depth it must go to stable the soil. 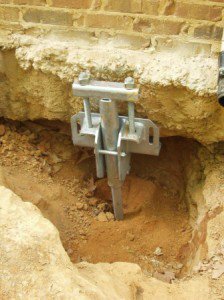 Usually the installer will excavate a hole at each anchor location wide enough and deep enough to place a bracket under the foundation. The leading section of the anchor with the proper number and size of helices will be installed by a rotary installing machine. Extensions are added until the helices are at the proper depth and the predetermined torque is achieved. At that point the bracket is added, the load is transferred to the anchor, and the building can be stabilized or lifted according to the plan of repair. CHANCE™ HELICAL PIER Foundation Systems offer a technically superior and cost-effective alternative to other remedial systems. The patented stabilizing system is backed by more than 80 years of structural engineering experience. Steel Reinforced concrete footings, known as shallow footings, are added to distribute the load of the residence and allow the foundation to be corrected. The principle of the supplemental footing is to distribute the foundation load over an extended area at a stable depth, and thus provide increased support capacity. This allows the building to be lifted back toward the original elevations. Some may wonder about the effectiveness of this type of system. Using this system and pressure grout pumping the voids, this system has been successful if the drainage problems are repaired. If proper soil moisture maintenance is in place this helps insure the stability of the system. Shallow footings are an economical, though less durable, method of repair. Pressure grouting is the process of raising or stabilizing faulty concrete, and is performed on cracked and sunken concrete slabs such as driveways, steps and sidewalks, concrete pavement floors, and other slab on grade surfaces. In the pressure grouting process, instead of replacing the concrete, cement slurry is pumped under the concrete. This process “lifts” the sunken and uneven surface back into its proper position. 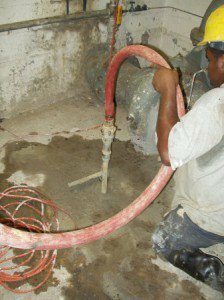 Performed properly, pressure grouting can not only bring the concrete up to grade, it can also eliminate costly and irritating water problems by filling hidden cavities under the concrete and diverting water away from the foundation.